We first were hired by the Boogie to develop a new web site. After extensive reviews of other festival web sites, we decided to approach this with a lot of outstanding photography. A festival is more than just music, it's about the fans, camping and fun. Photographing it all is a daunting task, and we do it every year. 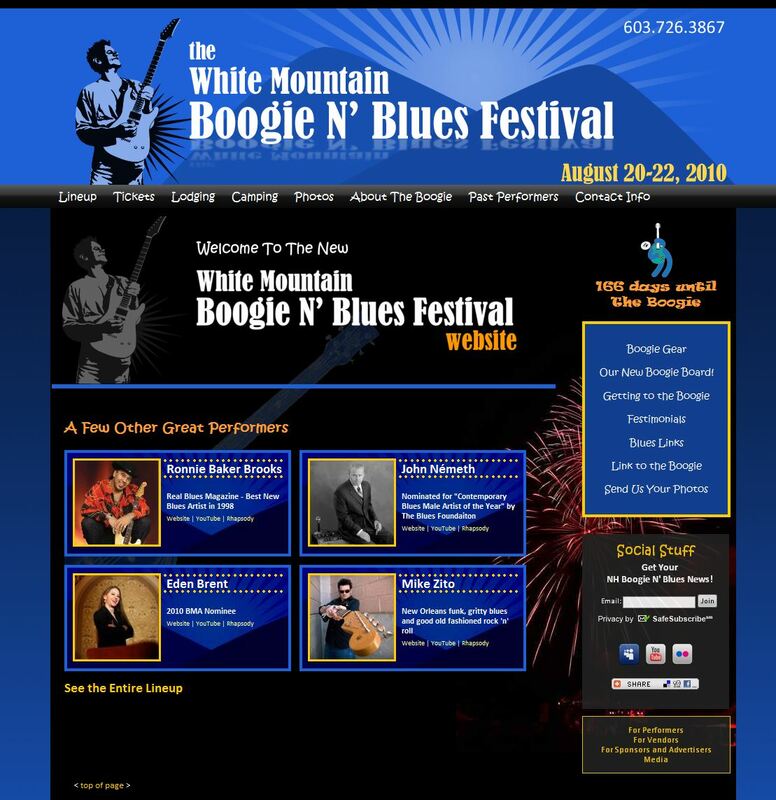 Since we started, ticket sales have increased each year and the Boogie was voted the prestigious Keeping the Blues Alive Award for Best U.S. Blues Festival in 2012! The web site features online sales via PayPal buttons, a forum and other back end features. In 2012, we started providing them all print design for their tickets, info, posters and program. Using savvy print buying management, we were able to considerably save them money, while improving the quality of the product. Real tickets (before anyone with a printer and the right color paper could have printed them), a full glossy program with more color, integrated program advertising management, and posters that were grabbed up at over twice the amount.